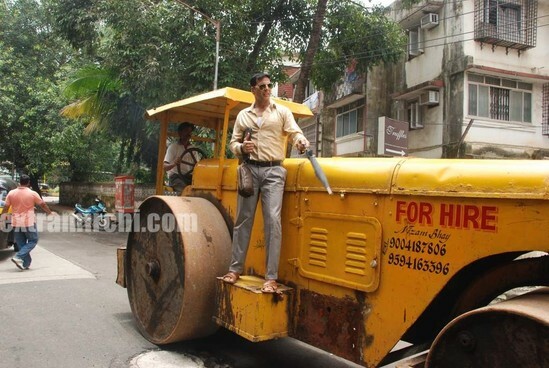 Akshay who plays a construction contractor in the Bollywood film Khatta-Meetha is going all out to promte it. He was seen looking at the potholes and climbing the road roller in the Mumbai suburb of Juhu. Trisha forays into Bollywood opposite Akshay in this movie.